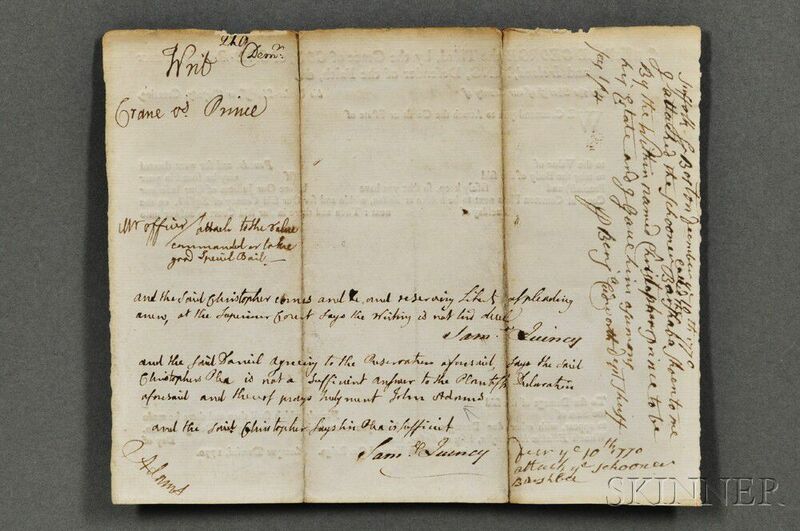 Adams, John (1735-1826) Signed Legal Brief, 5 December 1770. 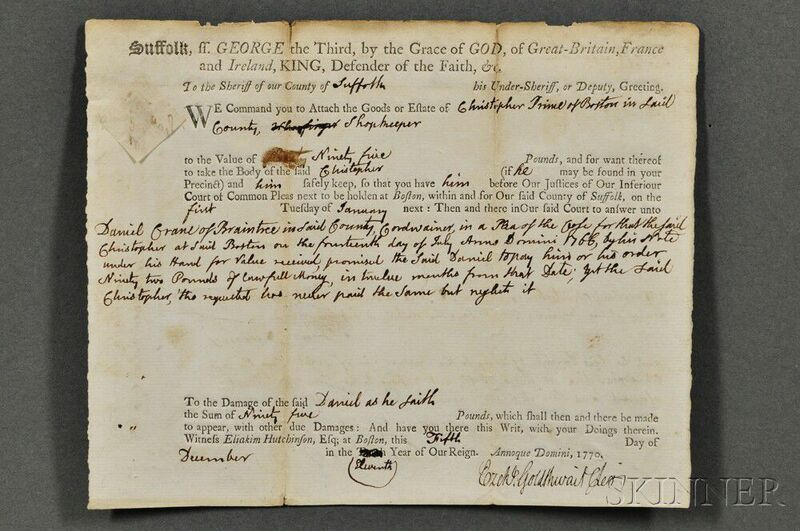 Single leaf of laid paper, typographical form fulfilled by hand, inscribed on both sides. 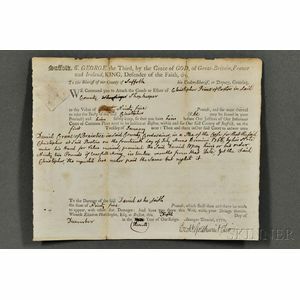 Signed by Adams on the verso, regarding the case of Daniel Crane vs. Christopher Prince, namely a warrant for the arrest of Prince, or his goods, because of an unpaid debt of ninety-five pounds, with notes on verso concerning his protestations of innocence, 8 1/4 x 6 1/2 in.